Dr. Holt and his team are experts in the techniques of cosmetic dentistry, including porcelain veneers, implants, crowns, bonded fillings, and whitening. 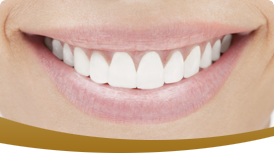 Our cosmetic dentists can provide you with an attractive, attention-grabbing, natural-looking smile. We use the latest technology available for cosmetic dentistry veneers, professional teeth whitening, dental implants and crowns and bridges. We go out of our way to make you feel comfortable and confident when you’re in our office. Relax knowing that you’re in competent hands and will receive the best care available. Read more about our VIP Treatment.